When you call Saint Louis garage door installation of a brand new garage door for new construction or for replacement of an older garage door, our service team is ready to help you from the first measurement and choosing of the correct garage door for your home to the final safety inspection to ensure everything is in working order. Never trust a non-professional to take on the installation of your garage door. In order to ensure the longevity and safety of your garage door it needs to be placed properly and securely. the professionals at Saint Louis Garage Door have the years of experience needed and the tools and equipment it requires and we are the Saint Louis Garage Door experts! Garage doors are heavy, awkward and unwieldy, that is why the imagination of one man in the 1930’s led to the first major wireless remote device for operating a garage door opener. Before that, since their invention in the 1920’s, you still had to get out of your car and flip a switch to open the heavy wooden doors. Still, it was not until the 1980’s that automatic garage door openers became standard on almost every American home that had a garage. Saint Louis Garage Door technicians can help you choose the right automatic garage door opener for your home for new installation or replacement, they can provide immediate repair and ongoing maintenance, and offer options such as a garage door opener with safety devices that include entrapment protection. 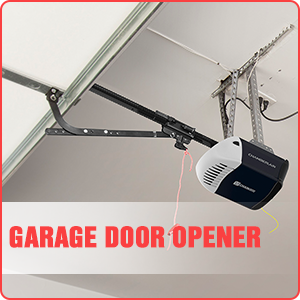 With the convenience and safety garage door openers provide, you can be sure your home and family are well protected with a properly operating garage door opener. Saint Louis Garage Door technicians take professional garage door spring repair and garage door installation seriously. With the weight involved with a garage door, the importance of having the right garage door spring system to balance that weight while in movement and held in place while lifted is crucial to proper performance and safety. St. Louis MO garage door technicians are fully knowledgeable about the complexity of the torsion spring system and its physics. Considering the three variables involved in order to ensure proper spring balance, they know that your garage doors safe operation is dependent on their ability to provide torsion springs with the right length, right inside diameter, and gauge or wire size. One wrong spring placement can create dangerous situations that threaten not only your property but you and your families safety.